Are you smarter than a primary school student? Test your knowledge at the e27 Trivia Night! Who painted of the famous artwork “Starry Starry Night”? What is the world’s youngest country? What was the first ever Disney feature film? These questions, and many more like them, are examples of what will be asked during the WeWork & e27 TRIVIA Night on September 26! Welcome to WeWork & e27 TRIVIA Night! 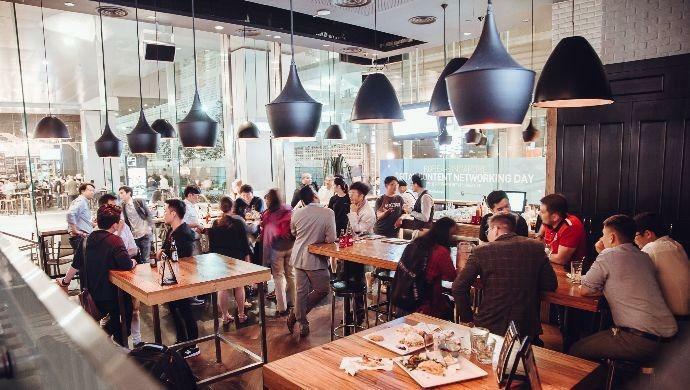 e27 and WeWork have one core culture connection: A community-first concentration. We want to bring people together, foster a healthy ecosystem and, well, have a little bit of fun while we are at it. Nothing beats a Trivia night. Teams are forced to work together and that sprinkle of competition helps break down the awkwardness of traditional networking events. Come join us on September 26th at 8 Cross WeWork for an evening of terrific trivia tomfoolery. If you can’t find a team of 4, take this opportunity to get to know the people within the office to form your crew. The first part of getting to know someone is hard, that I know, but you never know, your team may just win or lose in brilliantly hilarious fashion. 2. Prepare your team name before the event. Make if funny! (but not offensive). 3. NO PHONES! We could Google every answer which would ruin the event. e27 will have hall monitors and if we catch you using your phone during the question/answer portion, the team will be deducted one point. Winning Prize: Two movie tickets to the opening night premier of “First Man” at Shaw Theatres on October 3! More information will be provided during Trivia Night but feel free to get in touch with me (jared@e27.co) if you wish to register! Limited to 15 teams of 4 participants. Those who missed out, no worries! Come over and Chill! The post Are you smarter than a primary school student? Test your knowledge at the e27 Trivia Night! appeared first on e27.